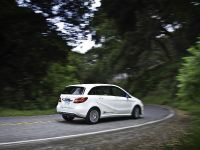 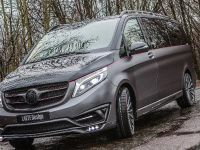 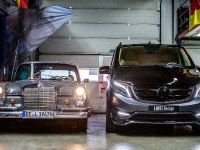 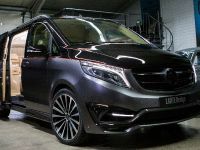 LARTE Design Mercedes-Benz V-Class Black Crystal stands for luxury. 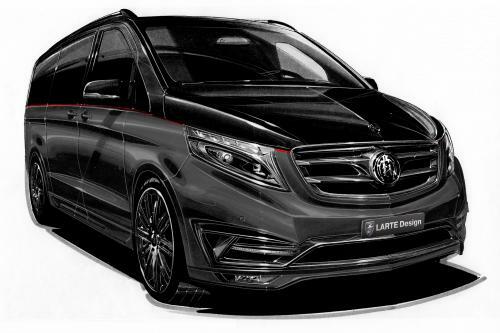 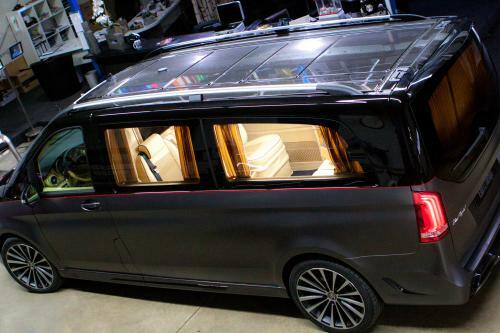 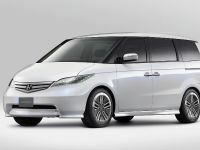 This amazing luxury minivan pays homage to the identically named Mercedes GL-Class by LARTE Design. 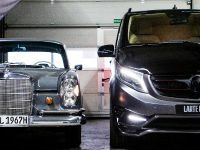 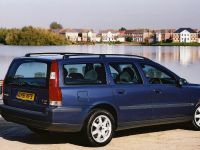 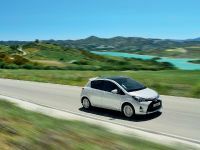 Like a precious diamond, the vehicle attracts attention with its expressive and unique body design, refined performance and accurate lines. 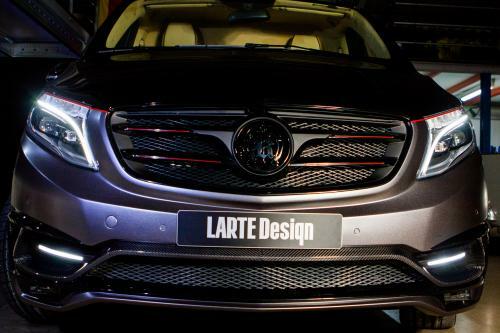 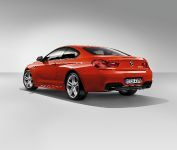 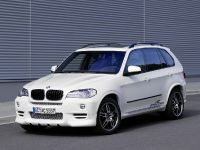 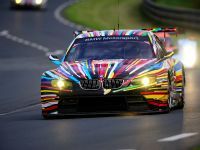 There are brand new front and rear bumpers made of composite materials and decorated with carbon elements. 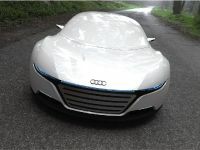 The front bumper has two inlaid crystals, fog lights with dual optical element with LED daytime running lights. 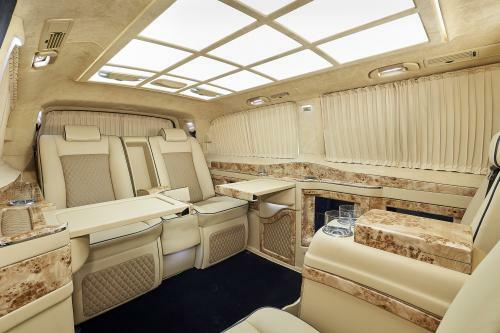 The interior is literally first-class and has been built by Klassen. 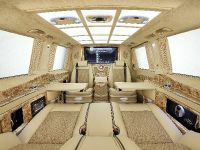 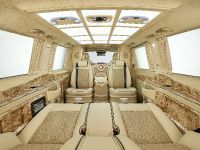 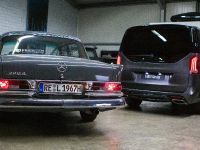 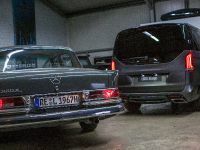 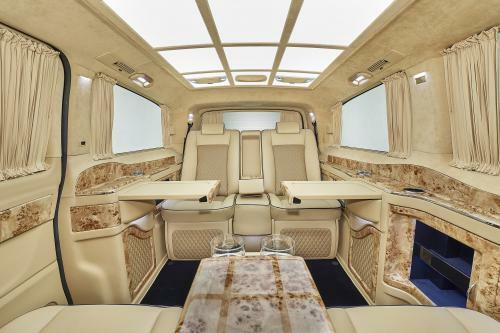 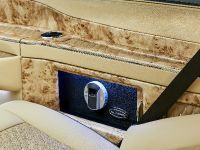 The VIP car cabin combines the finest leather and materials, comfort seats, minibars as well as advanced communication, lighting and entertainment electronics.